Farooque Sheikh : Har Mulaqat Ka Anjam Judai Kyon Hai? MUMBAI – MAHARASHTRA – INDIA JANUARY 06, 2014 00.15 A. M.
I was at Vaitheeswarankoil in the Nagapattinam district of Tamil Nadu for my annual vacation / pilgrimage from December 24 to December 31. On 27th when I checked my twitter account I was shocked beyond belief. 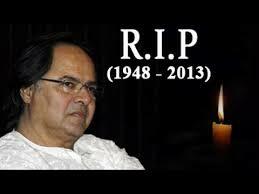 It was full of the news of Farooque Sheikh’s untimely death. 65 is no age to leave the world. But alas! it happened in the case of Farooque Sheikh. He was in Dubai with his family for New Year vacation when the end came. He died of cardiac arrest. 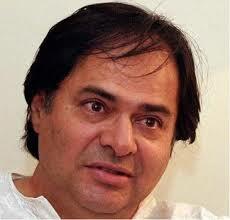 My first memory of Farooque Sheikh goes back to 1978. 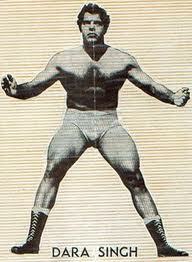 I saw ” Gaman ” in the Amar Jyoti Talkies of Deoria, my home town. 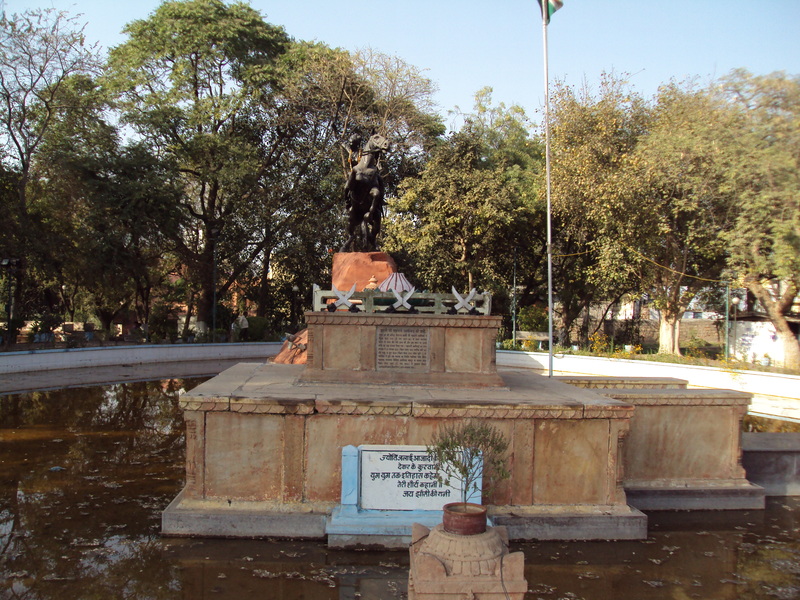 It’s swan song ” seene me jalan, aankhon me toofan sa kyon hai ; is shaher me har shakhs pareshan sa kyon hai ……. ” is still fresh in my memory. When I came out of the hall, I was amused. 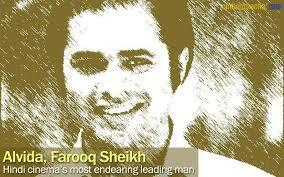 I felt that Farooque Sheikh was an unusual kind of leading man. He was not a typical Hindi film hero but his screen persona endured in my memory. 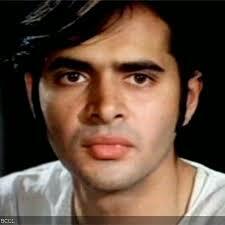 After ” Gaman ” , I watched highly successful ” Noorie ” and the image of Farooque Sheikh became a permanent part of my life. Then came ” Umrao Jaan ” and ” Chashme Buddoor “, both in 1981 and this unconventional hero, with his wonderful diction, pleasant demeanor and smiling face became one of my all time favourites. His notable films are ; ” Garam Hawa ” [ 1973 ] , ” Shatranj Ke Khiladi ” [ 1977 ] , ” Gaman ” [ 1978 ] , ” Noorie ” [ 1979 ] , ” Umrao Jaan ” [ 1981 ] , ” Chashme Buddoor ” [ 1981 ] , ” Saath Saath ” [ 1982 ] , ” Bazaar ” [ 1982 ] , ” Katha ” [ 1983 ] , ” Rang Birangi ” [ 1983 ] , ” Faasale ” [ 1985 ] , ” Ek Pal ” [ 1986 ] , ” Biwi Ho To Aisi ” [ 1988 ] , ” Maya Memsaab ” [ 1992 ] , ” Lahore ” [ 2009 ] , ” Shanghai ” [ 2012 ] , ” Listen ….. Amaya ” [ 2013 ] , ” Yeh Jawaani Hai Deewani ” [ 2013 ] , & ” Club 60 ” [ 2013 ]. His last film ” Youngistan ” is yet to get released. 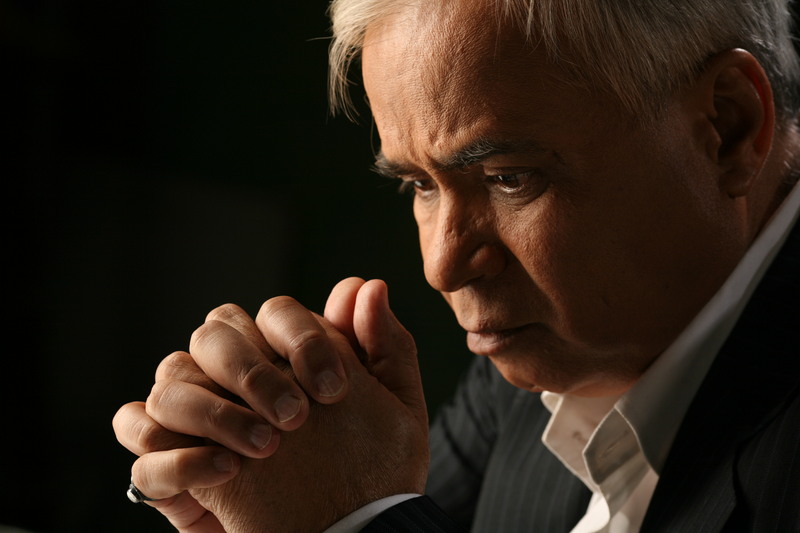 He won the 2010 National Film Award for Best Supporting Actor for Lahore. 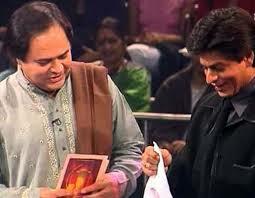 In the late 90s, Farooq Sheikh acted in a number of television serials. Most famous of them are ” Chamatkar ” on Sony and ” Ji Mantriji ” on Star plus and ” Shrikant “, which was aired from 1985 to 1986. He compered in the Binny Double or Quits Quiz contest which was telecast over Vividh Bharathi. 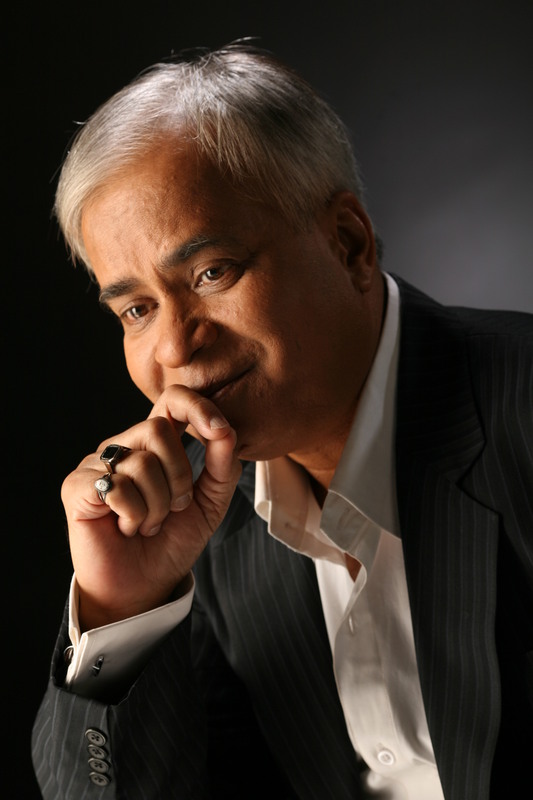 His also anchored the iconic TV show, Jeena Isi Ka Naam Hai (Season 1). He performed on stage in famous productions such as Tumhari Amrita [ 1992 ], alongside Shabana Azmi, directed by Feroz Abbas Khan. This poignant play ” Tumhari Amrita ” [ 1992 ] completed its 20-year run on 26 February, 2012. A sequel to this play was staged in India in 2004 titled “Aapki Soniya” with Farooq Sheikh and Sonali Bendre as main leads. 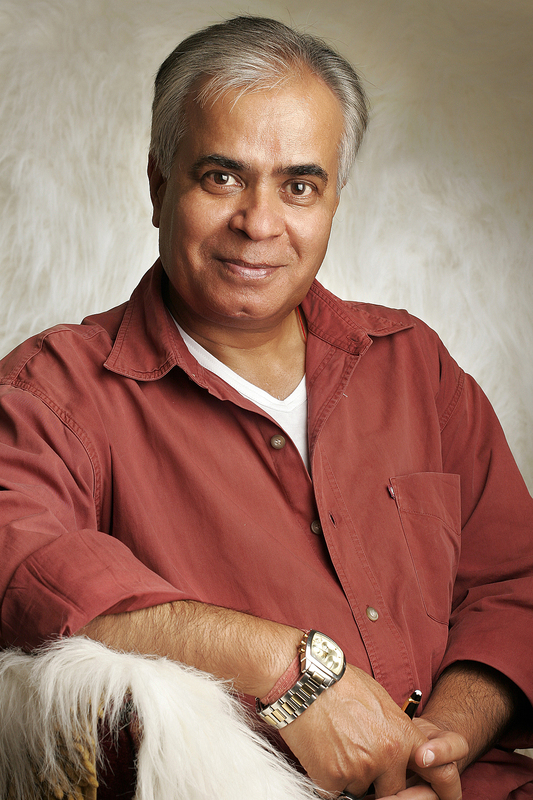 He also directed ” Aazar Ka Khwab “, an adaptation of Bernard Shaw’s Pygmalion in 2004. I became an addict of his TV show, Jeena Isi Ka Naam Hai (Season 1). When I watched him on stage alongside Shabana Azmi, in famous productions ” Tumhari Amrita ” [ 1992 ], directed by Feroz Abbas Khan, I was mesmerized. Years ago I played a small part in a play called ” SAARE JAHAN SE ACHCHHA “, Director by Aamir Raza Hussain . Farooque Sahab was supposed to be the narrator of the play. He couldn’t do the play because of some prior commitments and I lost this opportunity to be with him on the stage. It is sad that he went too soon. And he left us when he was on the comeback trail. 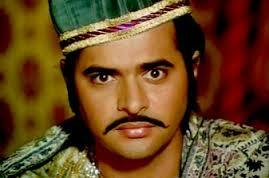 On behalf of all the students and staff of VIDUR Acting Institute , which is known as Vidur’s Kreating Charakters , I offer my condolences to the family of Farooque Sheikh and all the near and dear ones. VIDUR Editing Studio , VIDUR Club and VIDUR Theatre would also like to join them in this hour of grief. MUMBAI – MAHARASHTRA – INDIA NOVEMBER 28 , 2013 07.10 P.M.
All the above mentioned titles belong to Urvashi Rautela , my student , who just made her debut in ” Singh Saab The Great “ opposite Sunny Deol . The movie is directed by Anil Sharma , who earlier made ” Gadar – Ek Prem Katha ” [ 2001 ] . She was sent to me by Rikku ji and joined my acting institute in November 2012 and was in batch no. 68 . When she joined , she was on the verge of signing the film ” Singh Saab The Great ” . There was no time for the stipulated 4 months course . She had just 2 months . So I told her to attend morning and evening both the batches . To my amazement, she did that dutifully and completed the course . Sun or rain she used to come for the class religiously and worked hard , worked very diligently . When shooting started she got busy in that . In November 2013 I read that the film is complete and one day suddenly I got the message and was given a link of the title song of her film . I watched the song and was greatly impressed . It was spectacular . 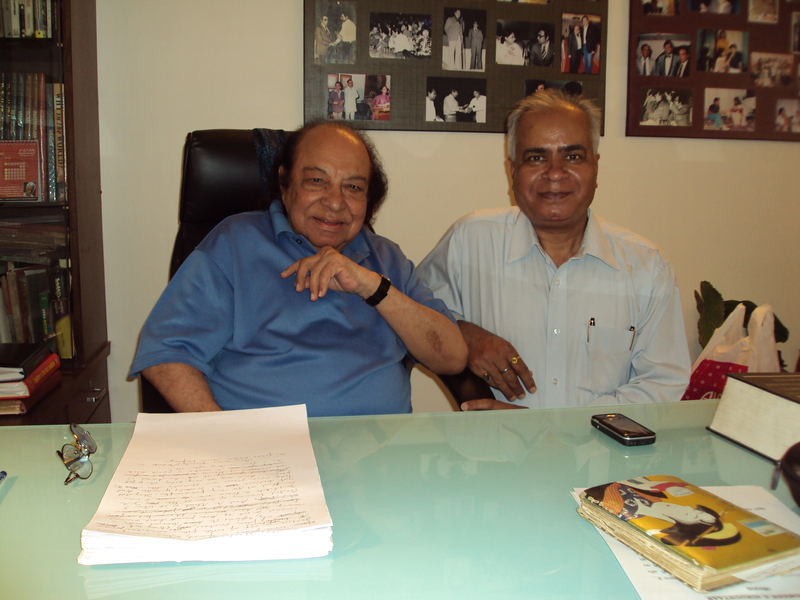 Last week she invited me for the trial of her film ” Singh Saab The Great “ at Sunny Super Sound . I watched the film and liked it . I was particularly impressed by her bewitching screen presence and confident acting . She was opposite Sunny Deol and she is much younger also , still there was no trace of nervousness or discomfort . To know about Urvashi Rautela , you can click the above mentioned link and read about her debut making film and about her performance . Along with ” Singh Saab The Great “ another big film ” Gori Tere Pyaar Mein “ was also released on the same date . But that Karan Johar film was rejected by the critics and public alike . ” Singh Saab The Great “ had only Sunny Deol while ” Gori Tere Pyaar Mein “ had Kareena Kapoor and Imran Khan . Punit Malhotra directed this film , while the music was provided by Vishal-Shekhar . Karan Johar’s name was also associated with the film . Incidentally Kareena Kapoor , Imran Khan , Punit Malhotra ( Director ) and Shekhar Ravjiani ( Music Director Vishal-Shekhar ) of ” Gori Tere Pyaar Mein “ are my students too . I was praying for their success also . But ” Singh Saab The Great “ is special to me and will always remain special because it stars Urvashi Rautela . She is the first student of VIDUR ACTING INSTITUTE to hit the Hindi Film World . I am not obliged or forced to share her success with anyone else . Singh Saab The Great on its opening day at the box office kicked off with a good start, better than this Friday’s other release [ Gori Tere Pyaar mein ] . Mainly a single screen film, the film on its 1st Friday made an earning in the range of 5.50 crores to 6 crores, as per early estimates. 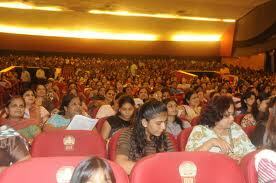 The film with great mass value fared the best in U.P, Delhi and Punjab circuits. Being set in the same region, the reliability factor will work in the favor. Though the film’s performance was dismal in Southern states and Bengal, good performance in Bihar, Rajasthan and C.I will help the film’s box office tempo. Singh Saab The Great on its 1st Saturday showed a marginal pick up at the box office. According to early estimates, the film earned in the range of 10 crores to 12 crores on Saturday. While the film’s first day performance wasn’t exemplary, this one was specifically fashioned keeping in mind tastes of single screen audiences. The film has so far earned in the range of 15 crores to 17 crores at the domestic box office. 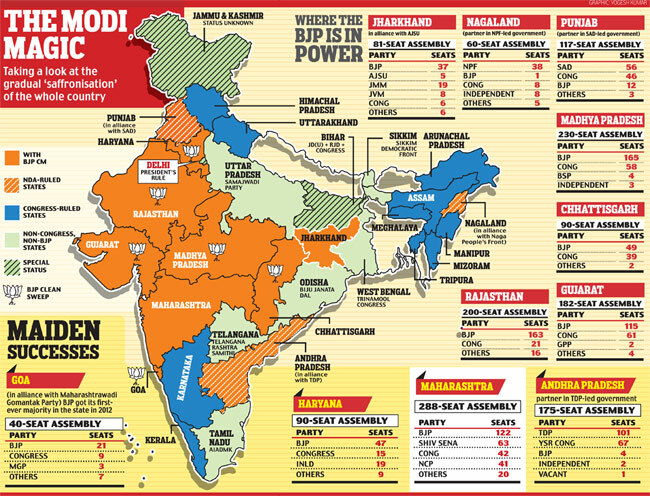 Though the official figures are still being compiled, the numbers will remain in the same range. Anil Sharma and Sunny Deol’s association has always worked wonders at the box office. This time too, the duo have tried to create magic by keeping the film simple and impactful. Though the box office performance of the film won’t be mesmeric, it will surely be on the better side. Singh Saab The Great made 16.25 Crores on its first weekend at the domestic box office. The movie has done pretty well compared to the other release this weekend Gori Tere Pyaar Mein! With Sunny Deol’s brilliant stunt execution on-screen, the film has a rustic appealing flavor to it which is making it ring with most in mass-based circuits of Punjab, U.P, Delhi-NCR, C.I-Berar and even Rajasthan. Though the film failed dismally in the Southern States as well as West Bengal, it can be expected to hold on well on the weekdays for its popularity in the single screens. Singh Saab The Great on its 1st Monday at the box office saw a customary weekday drop in its numbers. The film which has been faring substantially well so far went on to make 2.75 crores on its 1st Monday. Now, the film’s domestic total rests at 19 crores after the lapse of four days at the box office. Being a mass catering venture, Singh Saab The Great scored over the other release because of its great hold over single screens. Performing well in many circuits, the film’s primary target at the moment will be recovering its investment from the box office. Singh Saab The Great on its 1st Tuesday again witnessed a 10% drop in its numbers as it made only 2 crores at the box office. With that the film’s total domestic collections now rests at 21 crores at the domestic box office. Though the film saw a decent beginning, trade insiders were hopeful that due to Sunny Deol‘s presence and the film’s strong ability to ring with the single screen audiences, the film will fare well. However, Singh Saab The Great could not soar up to its expected amount because of the overpowering performance of Ramleela remained consistent in both single screens and multiplexes even in its second week. The film was made with a moderate budget of 30 crores . And it garnered 21 crores in just 5 days . It is on the verge of becoming a moderate hit . Now, the film’s domestic total rests at 21.00 crores . As an acting trainer / acting tutor I am proud and feeling happy for Urvashi Rautela . Apart from her , ” Singh Saab The Great “ , has 2 more students of mine . They are Alan Kapoor and Asseem Merchant . Co-producer of the film Dhaval Gada is also my student . But as I said earlier , Urvashi Rautela is the fist student of my new dispensation . I am very happy for her and satisfied with the results . 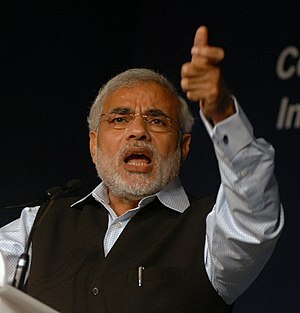 I am also satisfied and happy because ” Singh Saab The Great “ did offer some poetic justice to my detractors . Some upstarts , who never miss a chance to denigrate me , always make false , fake , preposterous and misleading claims about their non-existent and imaginary success . With , ” Singh Saab The Great “ I celebrate the debut of its leading lady and main female protagonist Urvashi Rautela , who is my student and with the same film , they , the GAALI GURUS of Facebook Acting School , are celebrating 2 blink-and-miss roles of their students . It is poetic justice . It is God’s way of showing them their place under the sun . The repositories of the ” craft ” , the crafty craftsmen have fallen flat . I congratulate GAALI GURUS for their blink and miss success . 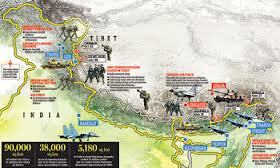 May they always achieve such negligible milestones ! The Date November 22 , 2013 , The Film , ” Singh Saab The Great “ and The New Star on the Horizon Urvashi Rautela will always be etched in my mind till my last breath . ” Singh Saab The Great “ settles down dust and makes matter clear . Since the release of , ” Singh Saab The Great “ there is virtual deluge of old students to my new office . They must have watched the writing on the wall . On behalf of all the students and staff of VIDUR Acting Institute , which is known as Vidur’s Kreating Charakters , I congratulate Urvashi Rautela for her debut and success . 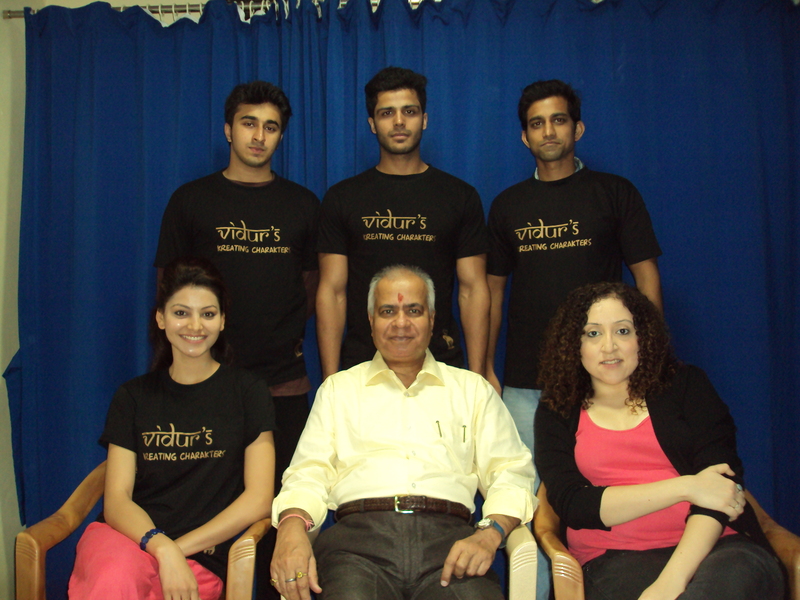 VIDUR Editing Studio , VIDUR Club and VIDUR Theatre would also like to wish her well in her glorious journey ahead . May she shine radiantly and reach the zenith of stardom . MUMBAI – MAHARASHTRA – INDIA NOVEMBER 11 , 2013 07.05 P.M. 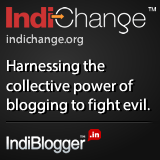 I read this excellent posting by Ms. SUNITA DIXIT . I liked it immensely and decided to introduce one more category named ” Pages From Life ” in my blog space and keep on posting such information , which are available on internet . This the first blog in this new category . In 1902, a professor asked his student whether it was God who created everything that exists in the universe ? He again asked : what about evil ? Has God created evil also ? Then the student requested that may he ask a question for him ? He asked : Does cold exist ? Professor said : yes ! Dont you feel the cold dear . Student said : I’m sorry but you are wrong sir. Student asked again : Does darkness exist ? Professor said : yes ! Student replied : You are again wrong sir. There is no such thing like darkness. It’s actually the absence of light. Sir ! We always study light & heat, but not cold & darkness. 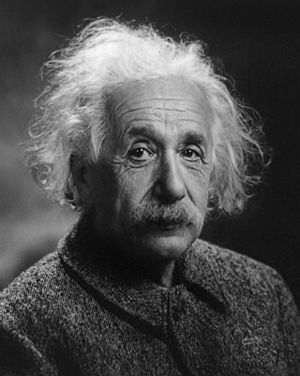 That student was Albert Einstein…!!! I am posting this blog for the benefit of all the students and staff of VIDUR Acting Institute , which is known as Vidur’s Kreating Charakters . MUMBAI – MAHARASHTRA – INDIA NOVEMBER 10 , 2013 06.35 P.M.
India‘s first celebrity chef , noted food writer , the first prolific Cook Book author of repute , first Cookery Show anchor and a specialist in vegetarian dishes , who left a rich legacy of staggering 17,000 recipes , Tarla Dalal died of cardiac arrest on November 06 , 2013 in Mumbai at the age of 77 years . She arrived on the culinary landscape 40 years ago . 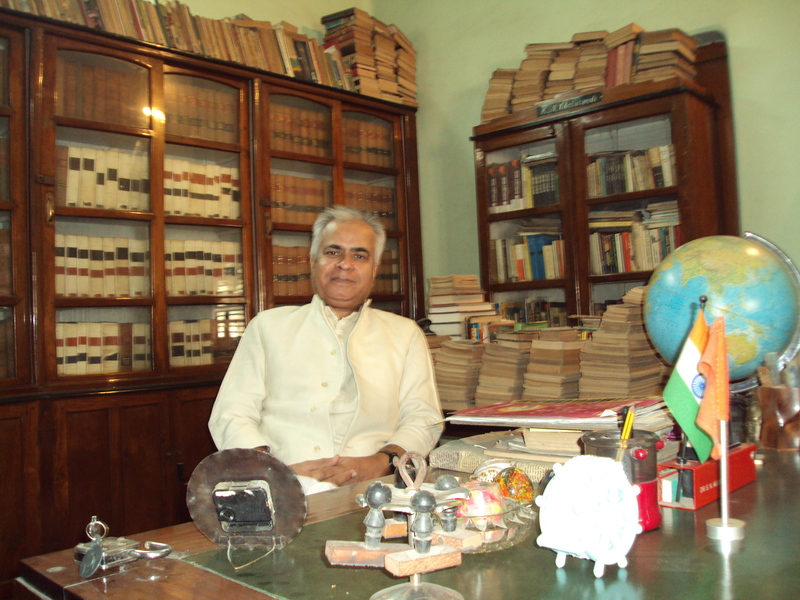 It was much before television reached most parts of India and became an integral part of our lives . Almost 40 years before the omnipresent television , she arrived on the scene with a bang with her first book ” The Pleasures of Vegetarian Cooking ” . It was published in 1974 and became best – selling book . She , though , started her career by taking cooking classes in 1966 . 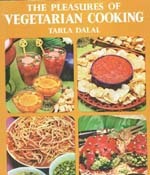 Tarla Dala’s first cookbook which was published in 1974 and is in its 25th reprint today. It contains over 250 delicious recipes that are practical, quick and easy. So go ahead ,ensure your copy today ! Since then she has written over 100 books and sold more than 3 million books . 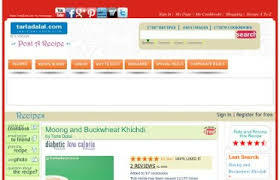 She also runs the largest Indian food web site , and published a bi-monthly magazine ” Cooking & More ” . Though she wrote about many cuisines and healthy cooking , she specialized in Indian cuisine , particularly Gujarati cuisine . She was the first to host a TV show on cooking . ” Tarla Dalal Show ” and ” Cook It Up With Tarla Dalal “ on Sony Entertainment Television are her two most notable cooking shows . The last-named weekly show ran for 3 years on Sony TV . Her cooking show is broadcast all over South East Asia, India, the Gulf, the United Kingdom and United States of America. She was awarded the Padma Shri by Government of India in 2007 . 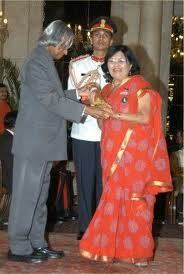 She was also awarded Women of the Year by Indian Merchants’ Chamber in 2005 . I came to know about her through Sudhanshu Pandey . He was the co-anchor of her show ” Cook It Up With Tarla Dalal “ . He is my student and he told me about the show . I started watching the show and gradually became familiar with Tarla Dalal . Then I saw some books written by her in various book stores . I browsed through them . Such books are normally dull and boring . 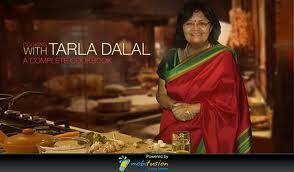 Tarla Dalal had unique distinction of making even cooking book interesting . I , since then , became an ardent fan . 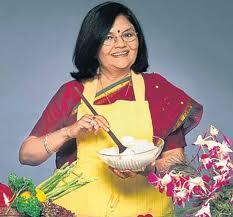 It is noteworthy that she did all this , much before the advent of Sanjeev Kapoor , the current favourite . Sanjeev Kapoor stars in the cooking TV show ” Khana Khazana “ , which is the longest running show of its kind in Asia . But Tarla Dalal did all this much before him and that too without the help of all-pervading , all-intrusive television . She is the pioneer . She is the first flag-bearer . Much before the arrival of Vir Sanghavi , the celebrated food writer , she started writing about food . I like Vir Sanghavi’s column ” Rude Food ” in Sunday Hindustan Times Cafe and read it religiously . But Tarla Dalal is my first favourite because she started it first . She heralded a new path . She chose to travel on the unbeaten track . Without any clear leader to follow , she chose to take a road less travelled . 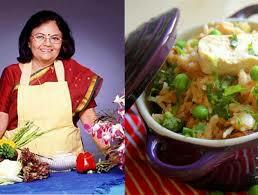 Only Madhur Jaffery was on the culinary scene before her . Therefore Tarla Dalal deserves our appreciation for this feat . It is not for nothing that she commanded unprecedented popularity among the masses . Her feat is unparalleled , her success unprecedented . On behalf of all the students and staff of VIDUR Acting Institute , which is known as Vidur’s Kreating Charakters , I offer my condolences to her family members and her fans , who are spread in every nook and corner of the world . 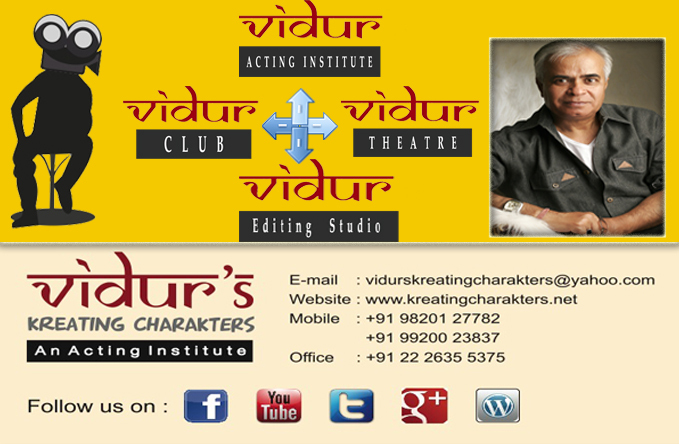 VIDUR Editing Studio , VIDUR Club and VIDUR Theatre also express grief and offer tribute . May her soul rest in peace ! Her demise is the big loss of the culinary world of India .